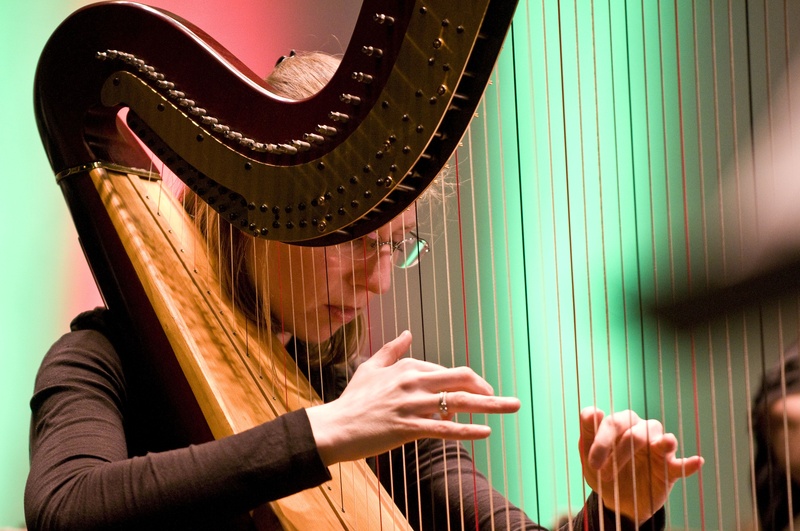 Anastasia Jellison holds a Bachelor of Music Degree from the Cleveland Institute of Music, where she studied with Alice Chalifoux, principal harp of the Cleveland Orchestra for 47 years. In 1999 she completed her Master of Music Degree in Harp Performance at the Shepherd School of Music, Rice University, under the instruction of Paula Page, principal harpist of the Houston Symphony. Miss Jellison has extensive experience as an orchestral harpist. She has played with the Houston Symphony, the Houston Ballet, the Houston Grand Opera, the Knoxville Symphony, Richmond Symphony, Virginia Symphony, Opera Roanoke, and with several other ensembles throughout Texas, Ohio, and Virginia. She has toured Europe with the North Carolina School of the Arts, attended the International Festival-Institute at Round Top in Round Top, TX, and has traveled to Japan with the Pacific Music Festival. She was a member of the Lancaster Music Festival in Ohio from 2000-2007 before joining the faculty of the Brevard Summer Institute and Festival in North Carolina in the summer of 2008. Miss Jellison has also played with the Shenandoah Valley Bach Festival for the past three summers and in 2008 was featured as a soloist performing the Ginastera Harp Concerto. She debuted with the Roanoke Symphony for the 50th Anniversary Concert in a performance of the Bartok Concerto for Orchestra. She was named principal harp of the RSO in 2005. Anastasia worked as a full-time harp teacher for the Richmond Public School System from 2001-2003 and was Director of the Roanoke Youth Symphony Harp Ensemble from 2003-2007. She currently teaches at the University of Richmond, University of Virginia, College of William and Mary, and Washington and Lee University. She also instructs private students from Richmond, Roanoke, and Williamsburg.